The next Blue Print radio show will take place on April 25th from 5-6 PM. Be sure to tune in for an exploration of what gendered violence looks like in various communities and contexts in Montreal. 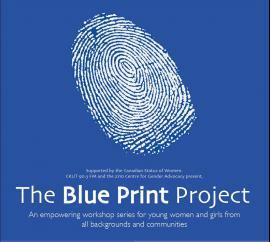 During this show, Blue Print will be featuring the perspectives of the youths at South Asian Women’s Community Centre (SAY) and the Inter-Tribal Youth Centre (ITYC). Visit the Blue Print facebook page or the Blue Print website for more information.